If you picked up a copy of the printed version of this issue of "The Columbian," you may have noticed that it was printed in green rather than our traditional “Columbian” blue. 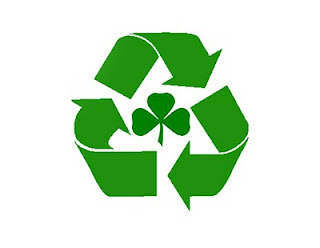 Well, first of all, it is St. Patrick’s Day and we wanted to keep our readers from getting pinched, but it also presents an opportunity to discuss the “going green” trend that is currently sweeping the nation. Personally, I’ve always considered myself outdoorsy, but it wasn’t until I began college that I truly became an environmentalist. 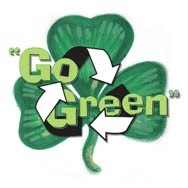 Perhaps the “going green” trend influenced me somewhat, but it was my education that molded my beliefs. I think this is typical for many college students. When young adults leave home for the first time in their lives, they are allowed to open up and find themselves in the real world. They are no longer sheltered by their parents’ rules or boundaries and are allowed to discover things that may have been off limits to them before. If young adults choose to enrich themselves by gaining a college education, they will find even more reasoning to back their beliefs about life. At least that is what I have found while pursuing my education. As a junior, my courses are becoming increasingly difficult and more specific toward my degree program, environmental science. In addition, prior to beginning this academic year, I worked my first full-time job last summer helping the park ranger with visitor information and outreach at the Big Muddy National Fish and Wildlife Refuge. I also looked at graduate schools in Colorado for an environmental journalism master’s program and stumbled upon the master’s degree I am currently looking into, natural resource recreation and tourism. To top all that off, I got the chance to travel to Costa Rica for a directed study Columbia College helped me set up and had the time of my life. Needless to say, in the last year, I’ve grown up a lot, and I’ve learned what I value most in life with the guidance of my education at Columbia College. The greatest thing I’ve learned is to make a point of reflecting my values with my actions. For instance, not only do I continue to enjoy the outdoors, but I’ve also made lifestyle changes to help protect the environment so future generations can also enjoy nature to the extent that I do today. As much as possible, I try to use my bicycle as a form of transportation. I avoid buying any new clothing, shoes, purses, etc. I only eat meat that I know comes from free-ranged or wild animals rather than those raised in Concentrated Animal Feeding Operations (CAFOs, a.k.a. factory farms) and I try to eat locally and organically when I can. I recycle and compost as much waste as possible and use reusable shopping bags, food and drink containers most of the time. All of these things have taken some getting used to, but I feel justified for living this way. The changes I am making may be small, but I feel even the littlest effort can decrease the impact we impose on the environment. I would like to do more, but that is not always feasible for me as a college student, and I think many people share this view. Columbia is a great town to live in for anyone trying to go green, and I feel now more than ever that I am in the right place. With that in mind, I would like to interview others who are going green in Columbia and share with “The Columbian’s” readers the sacrifices these people have made to become more environmentally friendly and explain their reasons for doing so. Be sure to read our next issue to find out exactly what it means to go green. Happy St. Patrick’s Day! Why not study environmental journalism at Michigan State University's Knight Center for Environmental Journalism? Thank you for your suggestion. I originally wanted to go to school for environmental journalism, but I was scared away by the lack of career opportunities in that field. That's why I chose recreation and tourism, so I could still do some writing and get to be outdoors at the same time. We'll see what happens!